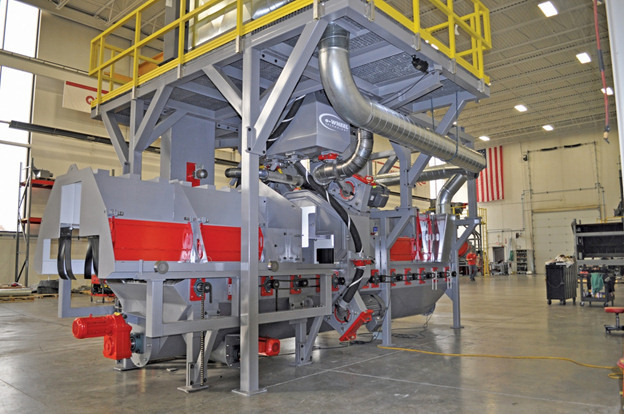 Blast Cleaning Technologies features a 4-Wheel Horizontal V-Roll Blast System. 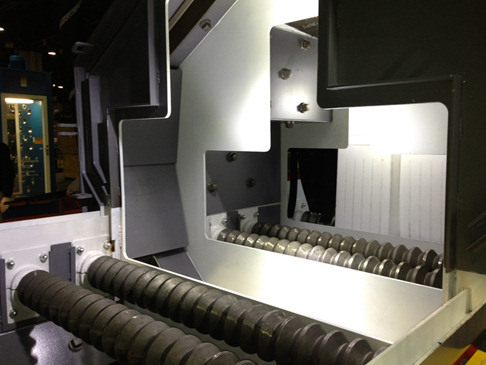 This system is designed for removing mill scale and rust from hot rolled flat shapes, plate and beams to a near white finish prior to fabrication. The cleaning envelope is 48” Wide x 36” high approximately 3’-6” above finished floor level. Our four wheel design with each of the wheel offsetting each other will provide the maximum efficiency of the blast pattern and minimize shadowing. Our exclusive “No Tool” vestibule seals provide excellent service life and simple easy change out in just minutes as well as an easy entry point into the cabinet for maintenance. 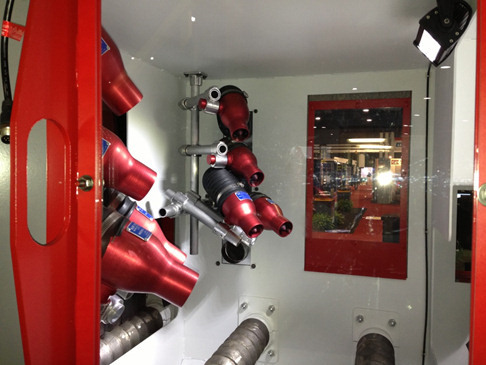 Abrasive Blow-Off includes: adjustable 4” Armor Coated air cannon nozzles with support framework and flexible hose. Air cannons are set-up as a chevron, angled downwards and against the flow direction.